Find out about local Tenerife Honey. 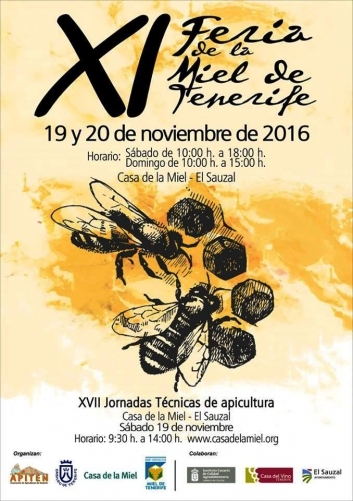 The picturesque northern town of Sauzal will be celebrating the Feria de la Miel (Honey Fair) this weekend in the House of Honey - for those of you with a sweet tooth and an appreciation of the gifts of nature. The fair will have various activities going on such as honey extraction for children and making your own soap from natural ingredients. The fair is on Saturday from 10am to 6pm and Sunday 10am to 3pm.